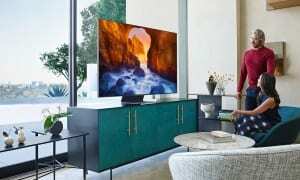 Chromecast & Fire TV Stick Vs Apple TV 4K, Roku & Sky NOW TV - Which? Google, Amazon, Apple, Roku and Sky NOW TV go head-to-head in our big-name internet TV box showdown. But which is the best streamer for you? You may be new to the world of internet TV boxes, but it's a market dominated by big-name brands you're bound to recognise, including Apple, Google and Amazon. It can be tempting to opt for the familiar, 'safe' choice, but do models from the household names hold up in our tests? And how do boxes from specialist brand Roku compare? 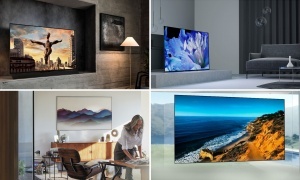 We've created this guide to help you pick the TV streamer that's right for you, comparing test results for the key products. Just looking for our full range of internet TV streamers? 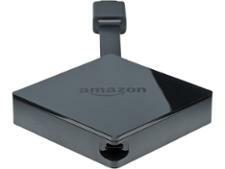 Click to jump straight to our independent internet TV box reviews. 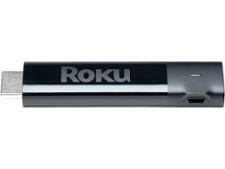 It's another incredible TV streamer from Roku. Google and Amazon may be the big names, but the impressive picture quality and wealth of apps on this streamer makes it a worthy alternative. This streamer does things a little differently, but it still works wonderfully, and has excellent picture and sound quality. It's one of the most expensive streamers on the market, but some nifty features will make it an attractive choice for some people. 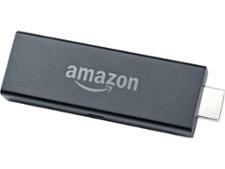 Two-and-a-half years on from the release of the groundbreaking, enormously popular original, we finally have an update to this streaming stick. The new features work well and don't drive the price up much at all. The cheapest way to get access to Sky's array of TV shows and movies with the least hassle, Now TV has exploded in popularity over the past year. If you still feel in the dark about it, we've answered some of the most popular questions relating to it below. 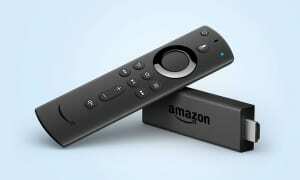 Q: Is the Now TV app free? A: Yes, in the sense that there's no charge to download it. However, you won't be able to access any content through it until you sign up for a pass of your choosing. Q: How do you set up a Now TV account? A: It's pretty simple really, although you have to do it through your web browser. Just head to nowtv.com/shop and go from there. A small warning - you will have to enter payment details, even if you only intend to take a free trial. Q: How do you cancel Now TV? A: An equally important question. Whilst Now TV may only come in the form of monthly 'passes', they essentially act the same as a rolling subscription. If you don't cancel before your next month is charged you're stuck with it for another 30 days. Head to the Now TV website, go to My Account and then click the large Cancel button next to the pass you wish to terminate. Q: How much is it per month for Now TV? A: The basic rates are as follows: £7.99 for the Entertainment Pass (which is basically just TV shows and box-sets), £9.99 for the Sky Cinema Pass (which is just movies), £2.99 for the Kids Pass (a mixture of shows and TV networks for the little ones), or £20.97 for all three passes rolled into one. The eagle-eyed amongst you may have noticed that that's not even a bulk discount, it's simply a way of easily opting into all three services. There's usually some sort of special new sign-ups bonus going on, so be sure to check the Now TV site thoroughly before paying up. Q: Can you watch Sky Sports on Now TV? A: You can, although the Sky Sports Pass works a little differently to the others mentioned. You can buy either a day pass (£6.99), week pass (£10.99) or monthly rolling pass (£33.99). Ideal if there's only a certain match or tournament that you're interested in watching - though that month-long pass is undeniably pricey. You get access to all 10 Sky Sports channels regardless of the duration of the pass you purchase. Q: What devices can I use Now TV on? 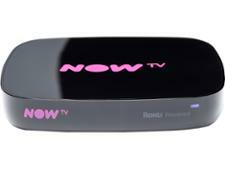 A: There's Sky's own line of Now TV boxes, which are actually re-branded Roku boxes. 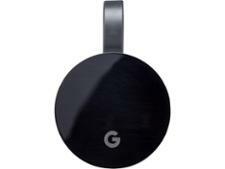 Then there's Roku's own range of streamers, Apple TV, Google Chromecast, EETV, the Microsoft Xbox 360 and Xbox One, and Sony PlayStation 3 and PlayStation 4. You can also watch via almost any Samsung or LG-made Smart TV, any iOS or Android device, or via your Windows or Mac computer. Q: Can Now TV be used on multiple devices? A: It sure can. Each account can have up to four different devices registered to it, with the ability to watch what you want on any two simultaneously. Q: What channels do you get? A: The Entertainment Pass contains on-demand, catch-up and live content from 11 channels: Sky One, Sky Atlantic, Sky Living, Sky Arts, Fox, Comedy Central, MTV, Challenge, Viceland, ABC Studios, Discovery Channel, Nat Geo Wild, Pick and SyFy. The Sky Cinema Pass, as the name suggests, gets you on-demand access to everything aired on the following Sky Cinema channels: Select, Greats, Sci-Fi & Horror, Family, Premiere, Drama, Hits, Thriller, Action, Comedy and Disney. The Kids Pass has six channels - Boomerang, Cartoonito, Cartoon Network, Nickelodeon, Nick Jr. and Nick Toons. The Sky Sports Pass has all ten Sky Sports channels available to watch live - Main Event, Premier League, Football, Cricket, Golf, F1, Action, Arena, News, and also Eurosport. Not found the product for you? 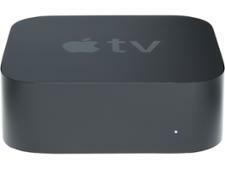 Browse all of our internet TV box reviews. 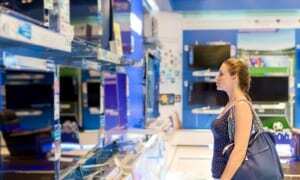 We buy every internet TV box we test and look at models of from all the popular brands, regardless of price. We speak to manufacturers and scour the market to make sure we test all the internet TV boxes that you'll find in the shops or online. Which? doesn't only tell you about the Best Buy internet TV boxes that we recommend, we also tell you which streamers to avoid by labelling them as Don't Buys. If an internet TV box has an issue we feel is so bad it must be a fault, then we will buy a new example and retest it. 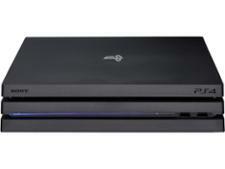 We'll also speak to the manufacturer to find out what it plans to do about the problem. Plus, we regularly update our reviews to ensure that each model's ever-changing list of apps is kept up to date. Only interested in seeing the very best internet TV boxes? See the top-scoring models we've reviewed by clicking through to our Best internet TV boxes.